Savor Home: FOUND: A 100% NATURAL DEODORANT THAT WORKS! There are several studies out there that suggest that the parabens and aluminum in deodorant can cause breast cancer. Even though several of the studies have been inconclusive, it's just common sense to me that these two very unnatural things that I had been using use each day in high dosages (I was using a men's deodorant!) can't be good for the body. So I set out on the journey for a good natural deodorant that actually works. After several misses, I finally found a hit! THE RESULTS: After reading Joanna's brilliant post on natural deodorants, I decided to purchase the travel size of Lavanila's Pure Vanila deodorant. I started using it on a weekend to avoid any potential embarrassments at work. I wore it during a long walk that weekend and during Pilates. I did perspire, but had zero odor. I wore it to work the following week. I perspire when I am nervous and I sometimes get nervous in meetings and just in general conversation. Those are the situations when my old deodorant took vacations. Well, Lavanila stayed on the job! Let me state again that I still perspire, but not nearly as much and there is no sweaty-smelling odor! It doesn't stain my clothing and even more importantly, I have not experienced any skin reactions. I was quite worried about that, but luckily I've been ok! I've only tried the Pure Vanilla scent, which doesn't smell quite like vanilla to me, but still smells good. Overall, I'm thrilled! 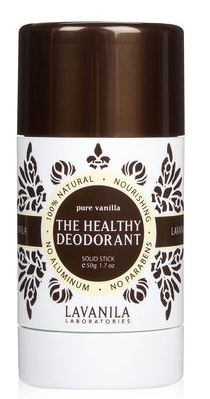 Have you tried it or any other natural deodorants?? Thanks for this post Tiffany. Glad everything turned out well for you. I have recently became aware of the amounts of aluminum that are in deodorant and wanted to tryout some natural ones. I've only tried Toms and that doesn't hold me. I will definitely give Lavanila a try. Hi there! I´m from Sweden and me and my entire family uses Deo Crystal Spray. It actually works, even for my teenage son who sweats like a pig. You still sweat when you use it but yot don´t smell! I wonder if I can find "your" deodorant in Sweden!! Anyway, I´m glad your lump wasn´t cancer and I wish you all the best! Thanks so much Maria!! I hope you are able to find it! I want to try this. After my toxin test came back with aluminum levels a bit high I have been more cautious. It is also had connections with Alzheimer's. And my grandmother had it. Where did you purchase it? Had no idea it was linked to Alzheimers! I purchased it from Sephora. You can also find it on Amazon. 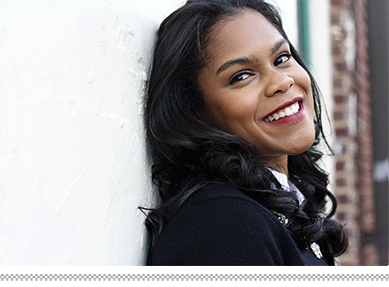 Thanks for sharing, Tiffany! I, too, had a lump that turned out to be not too concerning. I've tried Tom's which didn't work and Soapwalla which worked and I enjoyed the scent, but it did burn after shaving (they recommend you do not use it after shaving, but that is not practical) and came in a pot with a lid which made application messy. I will try the Lavanila. Glad everything turned out ok! I haven't had any problems before or after shaving with Lavanila. Let me know how it goes! I didn't realize the research about deodorant and breast cancer, thanks for enlightening me! This is so good to know. Thanks for sharing. I hope you're having a wonderful Summer. I use a crystal deodorant and love it, but will definitely keep this is mind if it ever fails me. I have tried several OTC natural ones, and they just didn't work. I even made a great recipe that worked, but gave me a total rash (for over a month, so I call bogus on detox excuses). Thanks for sharing your find! oh wao!! I'm so intrigued and the fact that it works is just amazing....All these chemical sin our products is a real problem. The rock/crystal totally does NOT work for me. I have been through alot of trial and error with natural deodorants. Lemon is one of my favorites. It really does work! (http://thyroidu.com/2545/avoid-toxic-deodorants-by-switching-to-limes-and-lemons/) My only issue with using lemon is that sometimes it's inconvenient (especially when traveling). So I continued looking for another healthy alternative. La Vanila works! And it's convenient for travel. Ok Savor Home! I'm going to order the trial size and test it out. Cross your fingers! Signed, Sweaty Suzie! Hi, Tiffany! 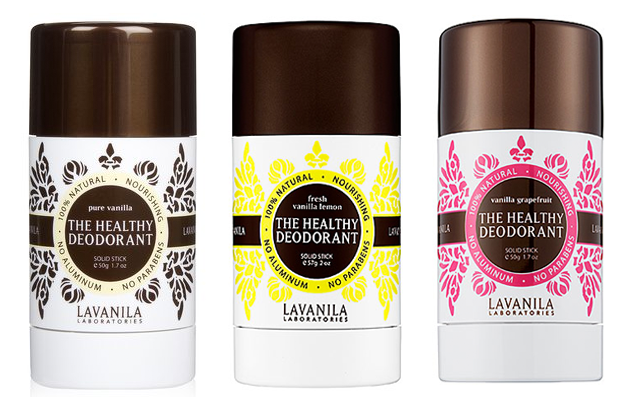 I remembered this post, and ordered LaVanila a couple of weeks ago when I ran out of my deodorant. I LOVE it! Thank you so much for the recommendation - it's become a staple in my daily routine!